LEXINGTON, Ky. (Oct. 11, 2018) — University of Kentucky President Eli Capilouto announced Thursday that UK and regional partners have received a federal grant that could potentially total $3.5 million over three years to create a hub to accelerate commercialization of biomedical technologies. 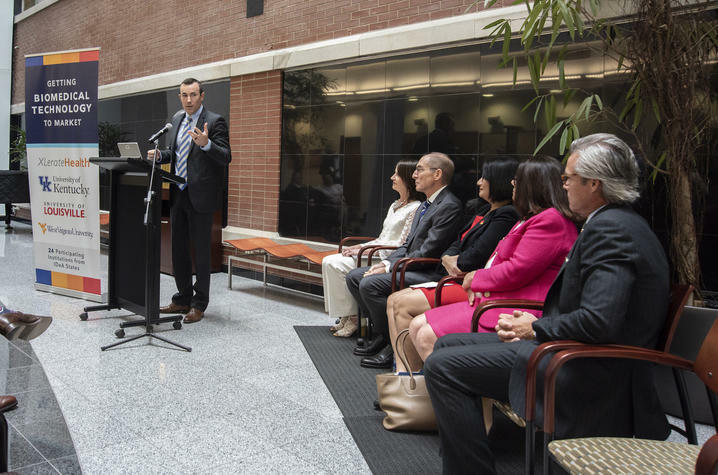 The grant, which includes nearly $500,000 in funding the first year, is being awarded by the National Institute of General Medical Sciences (NIGMS), a division of the National Institutes of Health (NIH). XLerateHealth LLC, a Louisville-based health care technology accelerator that focuses on startups and commercialization is the primary awardee on the grant. XLerateHealth joined forces with a consortium of 24 academic institutions led by UK, in partnership with the University of Louisville (UofL) and West Virginia University (WVU). "The University of Kentucky has a rich history in developing technology that transforms the marketplace, as more than half of all basic, translational and applied university-led research in Kentucky happens at UK," Capilouto said. "Our diverse research enterprise reflects our Commonwealth's most vital industries: energy, drug development and design, equine health and plant biotech, as well as innovative materials for medical devices, implants and drug delivery systems. Increasingly, our success in research that is relevant to Kentucky has broad applications across the world. We are excited for this opportunity to strengthen our role in the U.S. innovation pipeline." 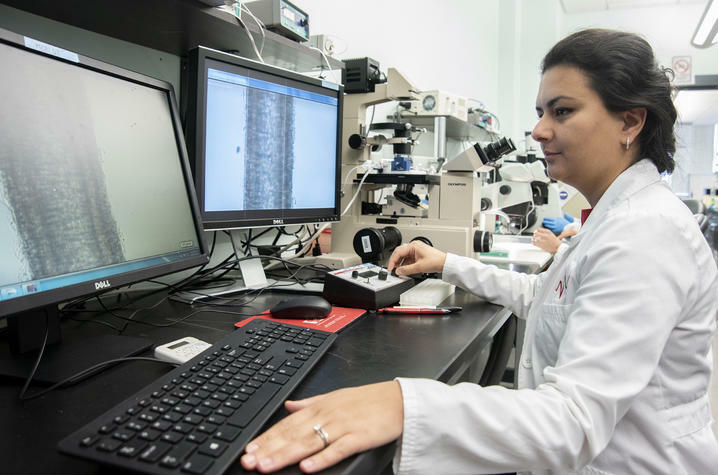 This new grant will create an "accelerator hub" for biomedical technologies in the Southeast Institutional Development Award (IDeA) region, which includes Kentucky, Arkansas, Louisiana, Mississippi, Puerto Rico, South Carolina and West Virginia. 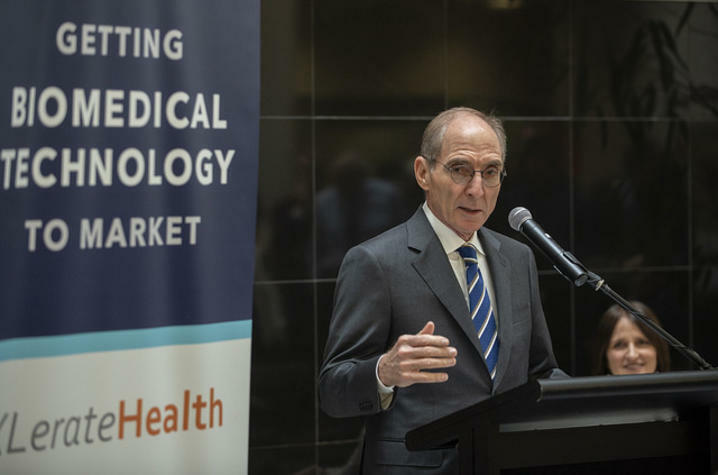 The hub will be one of four NIGMS-funded hubs to help IDeA states accelerate early-stage biomedical technology from the laboratory to market. The goal is to enhance the capacity to move scientific results from academic institutions into commercialization and to promote a sustainable culture of biomedical entrepreneurship within IDeA states. The IDeA program was established in 1993 to broaden the geographic distribution of NIH funding. "We are honored to have been selected to lead this initiative in the Southeast IDEA region," said Jackie Willmot, co-founder and CEO of XLerateHealth. "This grant provides a unique opportunity to leverage XLerateHealth's substantial experience working with researchers and startup founders to take a health care innovation to market. Commercializing a health care technology is difficult, launching a biotech company is even more complicated due to the numerous things the founders need to work through, including regulatory requirements, reimbursement and funding. We are excited about partnering with the University of Kentucky, the University of Louisville and West Virginia University, as well as the other institutions throughout the Southeast region to move research from lab to market." In the 2016 Association of University Technology Managers (AUTM) Annual Survey, academic institutions in the Southeast IDeA region performed more than $1.5 billion in federally funded research and generated 38 startup companies. Participating universities in this grant made up 66 percent of that research and 82 percent of the region's newly licensed startup companies. Given the uneven access to commercialization support services, startup resources and other translational programs across the Southeast IDeA region, an accelerator hub connecting those resources and providing access to best practices can make a significant impact. The grant will fund creation of an online "virtual hub," through which XLerateHealth, UK, UofL and WVU can connect and share educational curriculum, resources and commercialization tools for utilization across the network of participating institutions. There will also be a focused intellectual property and technology transfer support services component for regional and historically black colleges and universities to assist where those services are not currently available. Principal Investigators on the grant include Jackie Willmot (CEO), Bob Saunders (chairman) and Eugene Krentsel (chief scientific officer) from XLerateHealth, Ian McClure (director, Office of Technology Commercialization) from UK, Rob Keynton (interim executive vice president, Research and Innovation) from UofL, and Richard Giersch (director, Health Sciences Innovation Center) from WVU. "We are very excited to lead this new grant mechanism as part of the NIH IDeA program, in partnership with other Southeast institutions, to enable our researchers to accelerate their early-stage biomedical technology to commercialization," said Lisa Cassis, UK's vice president for research. "We have pressing and persistent health problems in Kentucky and most of the Southeast that afflict our citizens, and this program will assure that our talent does all that it can to improve lives." 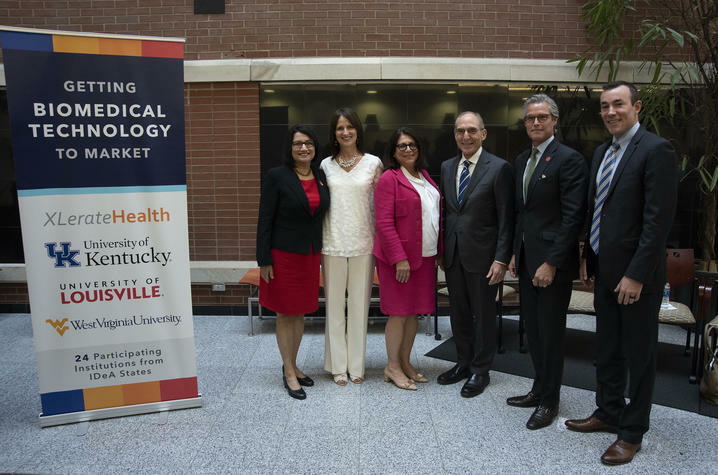 "Through partnership between and leadership by its research institutions, UK and UofL, Kentucky is becoming a regional commercialization leader," McClure said. "Kentucky is rich in biomedical technology expertise, as evidenced by the capabilities of XLerateHealth, and we are excited about this opportunity to harness this expertise and optimize it for the networked partnership we have built for this grant. This hub should have incredible potential to accelerate biomedical technologies for our participating institutions and across the Southeast IDeA region." "This significant federal investment is exciting news for Louisville-based XLerateHealth, the Commonwealth of Kentucky, and health care technology and academic partners across the Southeast," said Kentucky Gov. Matt Bevin. "Establishment of a Regional Biomedical Technology Accelerator Hub, here in the Bluegrass State, is a testament to the strength of our public universities and the quality of our entrepreneurial environment. We look forward to seeing the impact this cutting-edge program will have in advancing opportunities for commercialization, information sharing and the creation of life-changing products to benefit society." The institutions in the consortium who have pledged their support and who will be participating in managing the program's various committees and initiatives include: University of Kentucky; University of Louisville; West Virginia University; Benedict College; Clemson University; Coastal Carolina University; Eastern Kentucky University; Jackson State University; LSU (Louisiana State University) Health Services; Medical University of South Carolina; Northern Kentucky University; Puerto Rico Science, Technology and Research Trust and the University of Puerto Rico; Southern University; Tulane University; University of Arkansas; University of Mississippi; Western Kentucky University; and Winthrop University.